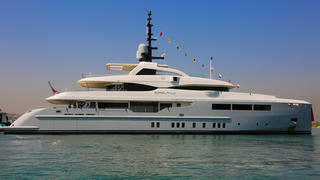 The 46.8 metre Bilgin 155 superyacht _Giaola-Lu _has been delivered to her new Mexican owner, the Turkish yard has announced. 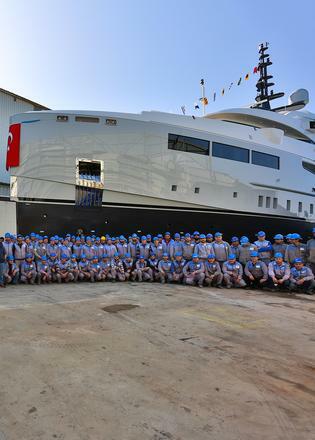 The yacht was designed by H2 Yacht Design two years ago and the project has progressed smoothly, with the official handover taking place on July 22. Since the designs were first released, some minor changes have been made at the request of the owner, including recent changes to the interior. 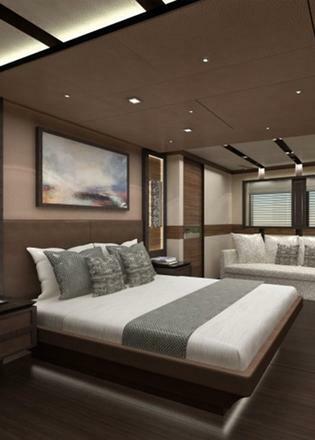 The steel and aluminium yacht is the most recent design of Bilgin’s displacement line, and has a beam of 9.2 metres and a draft of 2.45 metres. Naval architecture is by Unique Yacht Design. 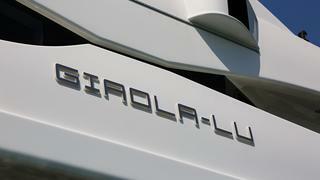 Accommodation on Giaola-Lu is for up to 12 guests, with a master suite, VIP cabin and four lower deck guest cabins. The full beam master suite has his and hers bathrooms, a walk in closet and an office. 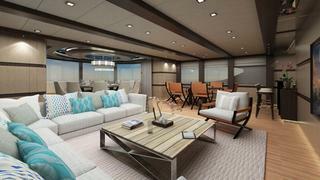 Large saloons can be found on the main deck and bridge deck with plenty of space for dining or lounging on the aft decks. Bilgin adds that the most distinctive feature of Giaola-Lu is her network infrastructure, which allows the owner to control the Harman Kardon sound system, curtains, music, climate control, lighting, televisions and cameras via a mobile phone app. Giaola-Lu's expansive sun deck is extremely versatile, with a hot tub, sun loungers, sofas, a dining table and a bar providing guests with a host of different options. 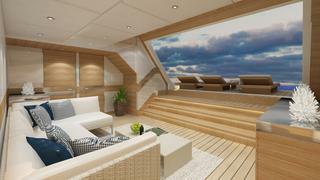 Another seating and sunbathing area can be found forward of the bridge, where there is also storage space for two Jet Skis. Two tenders are stored in the superyacht tender garage, with side opening gull wing doors for launching, while another door opens at the transom to open up the beach club and create a large swim platform. Powered a pair of 1,450hp CAT C32 engines, Giaola-Lu is expected to reach a top speed of 16 knots.In October last year, Bilgin signed an order with a repeat client for the Bilgin 263, which at 80 metres will become the largest superyacht built in Turkey. 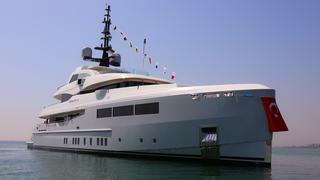 Bilgin’s displacement line also includes the 47.6 metre Bilgin 156. The first one is being built on spec at the Turkish yard and is due for delivery at the end of this year, while the second Bilgin 156 hull is scheduled for a 2017 delivery.